I really ought to stop writing things like “barring delays season 2 will be out by the end of this year.”, as I just jinx things for everyone. 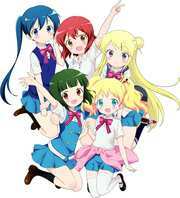 I wrote that in October 2017 when I reviewed Kiniro Mosaic, a.k.a. 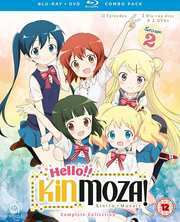 Kinmoza Season 1. So here we are, July 2018 and we now, finally get the sequel, Hello!! 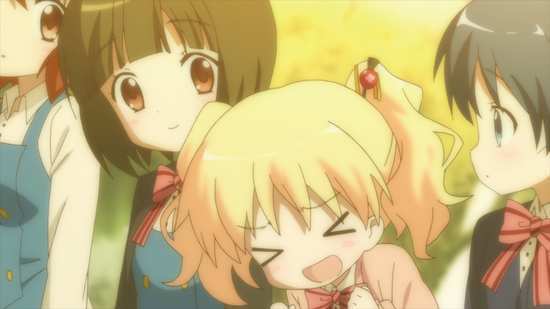 Kinmoza to remedy our cuteness deficiencies. In the interim, the show has even made the national news, with the B&B that inspired a key location in the story getting recognised for attracting moe pilgrims from Japan. If there is one thing that anime fans love to do, it’s visiting real life anime locations. Five years previously, Shinobu Omiya spent a week in England with friends of her family. Despite the language barrier, she befriended their daughter Alice Cartelet, and by the end of the week, their farewell was warm but tearful, with Alice swearing to one day visit Shinobu in Japan. Five years later, as Shinobu starts high school in Japan, she gets a letter from Alice. She doesn’t even have time to read it before she gets the news directly. 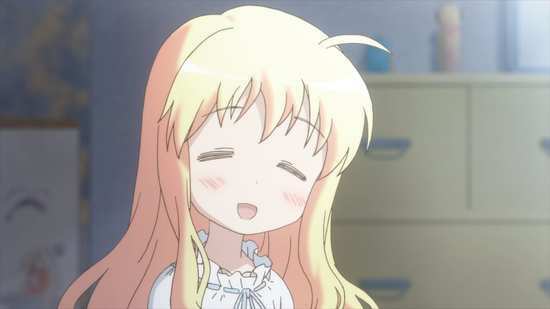 Alice walks into her classroom having transferred into her school, and what’s more she’ll be living at Shinobu’s house. Having a cute English rose in her class is a delight for Shinobu and her friends Aya Komichi and Yoko Inokuma, but things get even more exciting when Alice’s friend from England, Karen Kujo also transfers in. 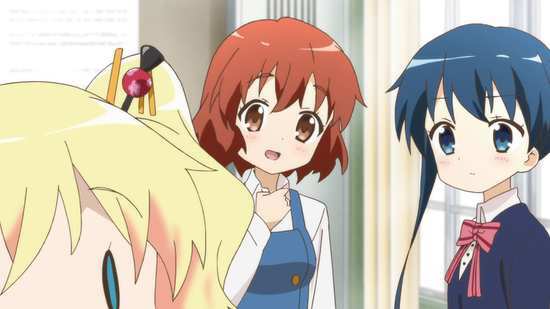 In season 2, the girls start their second year in high school. 12 episodes of Hello !! 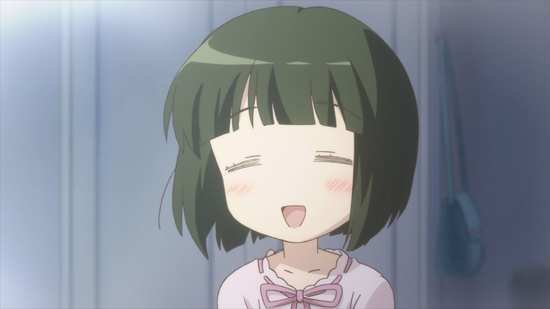 Kinmoza! Season 2 are presented on two Blu-ray discs from Animatsu. Incidentally, if you want the show on DVD, this is a BD/DVD combo release. 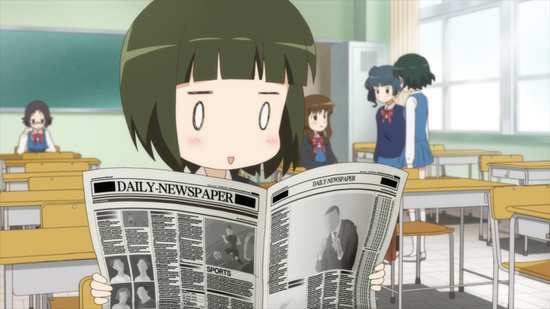 Kinmoza gets a 1.78:1 widescreen 1080p transfer. All 12 episodes are presented across a single Blu-ray disc, although given the more simplistic nature of the character designs, the less dynamic animation, the disc is still light on compression artefacts, aliasing and the like, with only some digital banding in scene fades to mention. The image is clear and sharp throughout, colours are strong and consistent, and the animation is smooth. As mentioned, it’s a simpler animation, one where characters tend to become SD caricatures at the drop of a punchline, and as it’s more a verbal comedy, there’s less need for visual flourish. That said, Kinmoza looks fine, with some likeable character designs, and animation that does what it needs to, in order to get the jokes across. The images in this review were kindly supplied by Animatsu. Kinmoza gets a DTS-HD MA 2.0 Stereo Japanese track and this time the English subtitles are locked during playback. It’s a shame that this show wasn’t dubbed, as it’s a show with broad audience appeal, likeable light comedy, and to be frank it needed better localisation than the subtitles could provide with British characters and the culture clash that ensues. Alas, the original Japanese have British characters that speak pretty flawless Japanese, or comedy broken Japanese in the faux foreign accents that you usually hear, but who speak Engrish in their native tongue (a bit like Arnie’s flawless Arabic in True Lies). It works for the domestic audience, but if you’re British you’ll have to make a lot of allowances for the original language track. Other than that, the audio is fine, the stereo suits the dialogue focused show well, while the theme songs are really catchy. The subtitles are timed accurately, although this time I did notice a typo. The discs boot to static menus and you get translated English credits at the end of each episode. The extras are on disc 2 and amount to the textless credits, 8 openings and one textless ending. There are also trailers for Wish Upon the Pleiades, Sakura Trick, Wake Up, Girls, and Gourmet Girl GRAFFITI. That show didn’t leave me needing the services of a dentist, it left me with diabetes! 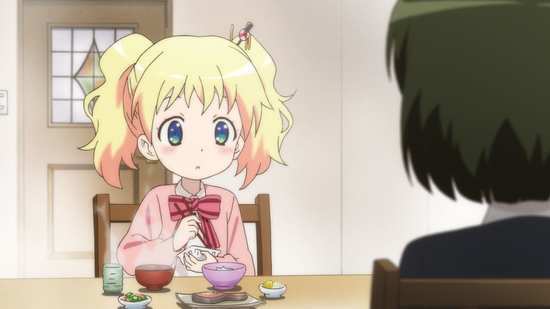 Kinmoza is the shock and awe of sweetness, it’s a tsunami of sugar, it’s a collision between Willy Wonka’s chocolate and Lord Scrumptious’ candy factories. You have to be in the mood for sweetness on that scale, have a mindset suited to a character love-in with practically no element of risk, drama, or darkness. Mio chopping Ritsu on the head every time she gets up to mischief in K-On! 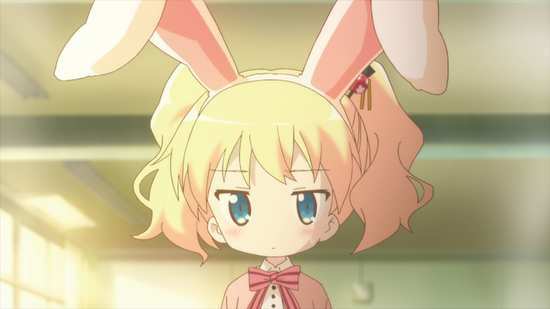 is an unforgiveable act of brutality compared to the light teasing which is the most that occurs in Kinmoza. If you’ve read my review of the first season, you’ll know what to expect from season 2, five friends just basking in each other’s company. Shinobu loves all things blonde and British, ever since she made friends with Alice Cartelet during a homestay in England. Alice loves all things Japanese, which makes their friendship inevitable, when Alice goes to Japan to study in high school. It isn’t long before they’re joined by another blonde Brit, Karen, who is an energetic fun loving girl. 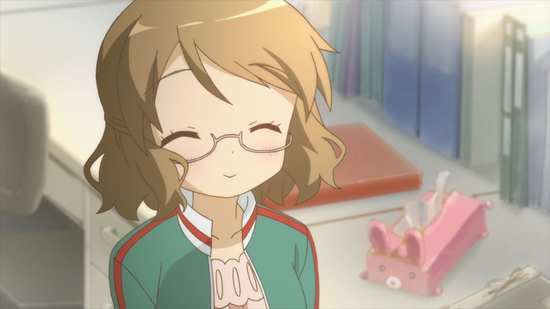 Shinobu’s childhood friends are the studious Aya, who has a crush on ditzy Yoko. 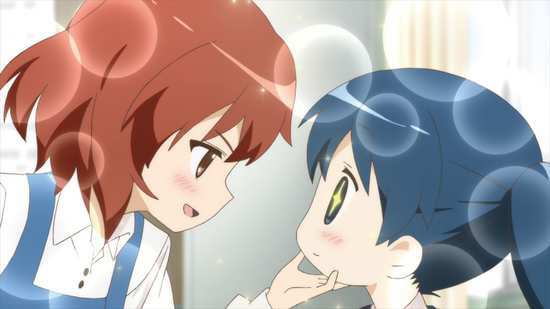 This second season makes room for more school friends, such as Honoka who develops an affection/admiration for Karen. We also get to see more of Yoko’s younger siblings. The biggest change is the addition of a new teacher for the girls’ second year in high school. Shinobu and Alice wind up in different classes, which is the darkest the drama gets in this series. Ms. Kuzehashi is the new teacher who has a hard time relating to the students. She wants to be liked, but keeps coming across as harsh and strict, although Karen soon sees through her facade. 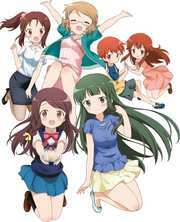 The cuteness extends across the generations, and Ms Kuzehashi develops an admiration, and a bit of a crush on the other teacher, Ms. Karasuma, and their interactions develop a cuteness to match that of the girls.